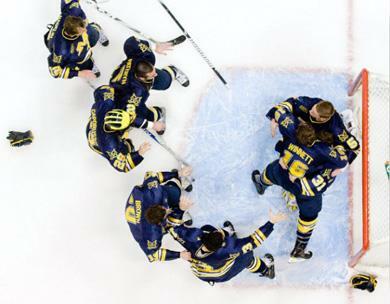 Wolverine players swarm goalie Shawn Hunwick after U-M won the CCHA hockey tournament to keep alive its streak of 20 consecutive NCAA playoff appearances. One of the most unlikely careers in the history of University of Michigan sports ended last weekend, in overtime. Two years ago, Michigan’s hockey team was in danger of snapping its record 19-straight NCAA tournament bids. They finished seventh in their league – unheard of, for Michigan. So, the only way to keep the streak alive was to win six straight league playoff games to get an automatic NCAA bid. Oh, and they had to do it with a back-up goalie named Shawn Hunwick, a 5-foot-6 walk-on who had never started a college game until that week. But the kid caught fire. Michigan won all six games, stretched its streak to 20 straight NCAA tournaments, and Hunwick won the league tournament MVP. The next season, head coach Red Berenson alternated goalies until he had to pick one to play in the Big Chill game at Michigan’s football stadium – which was going to be the largest crowd ever to watch a hockey game, anywhere. He picked Bryan Hogan, but in warm ups, Hogan pulled a muscle, so Berenson put Hunwick in the net at the last minute. The kid beat Michigan State, 5-0, and a star was re-born. Hunwick took his team on another wild ride, finishing with eight straight wins to steal the conference crown on the last night. Michigan made it all the way to the NCAA finals – where the Wolverines lost in overtime, once again. Hunwick finished with the best statistics of any goalie in the league – but the league voters inexplicably left him off the first and second all-star teams. That never happens, either. His coaches and teammates were smarter. They knew, going into this season, Hunwick was the key. The Wolverines won just one game in November, then won 80-percent of the rest, to earn the NCAA’s second overall seed. There was no Cinderella talk anymore. Hunwick set school records for goals-against-average and save percentage, the two most important measures of goaltending. Most jobs in sports are hard to measure, but not this one. Who’s the best free-throw shooter? The guy who makes the most free throws – doesn’t matter how tall he is or what his form looks like. Who’s the best goalie? The guy who keeps the puck out of the net. 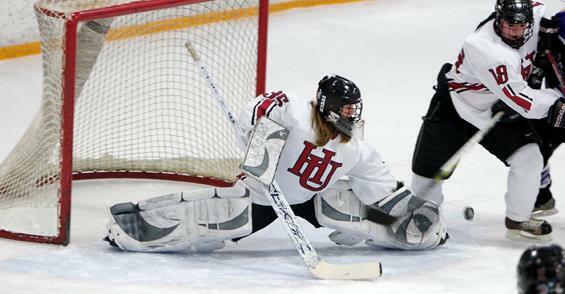 And that’s how you’d think they’d measure goaltending. But the league once again snubbed Hunwick, keeping him off the first All-Star team. A year before Bo Schembechler died, he said the best player he ever coached was not one of his dozens of All-Americans, but a 5-9 walk-on named Donnie Warner, who rose to become a starting defensive lineman. Bo said the kid took what God gave him— “which, frankly, wasn’t very much” —and used it to cover everything He didn’t. Warner simply would not let anyone – not even Bo Schembechler - talk him out of his dreams. Using Bo’s yardstick, you’d have to conclude Shawn Hunwick might just be the greatest hockey player in Michigan history. Yet, on Friday night, Michigan got knocked out of the NCAA tournament in overtime for the third straight year, ending Hunwick’s college career. Instead, as first reported by the Michigan Daily’s Zach Helfand, Hunwick picked up the puck, and skated it over to the other team’s bench. On Tuesday night, I interviewed Hunwick about his plans. But a funny thing happened. The very next morning, the NHL’s Columbus Blue Jackets’ starting goalie injured himself in practice, so they called to see if little Shawn Hunwick could be their back up goalie that night – against the Red Wings. Hunwick decided to skip his astronomy class, and drive to Columbus. Another impossible dream had come true. Still more could follow. Care to bet against him? 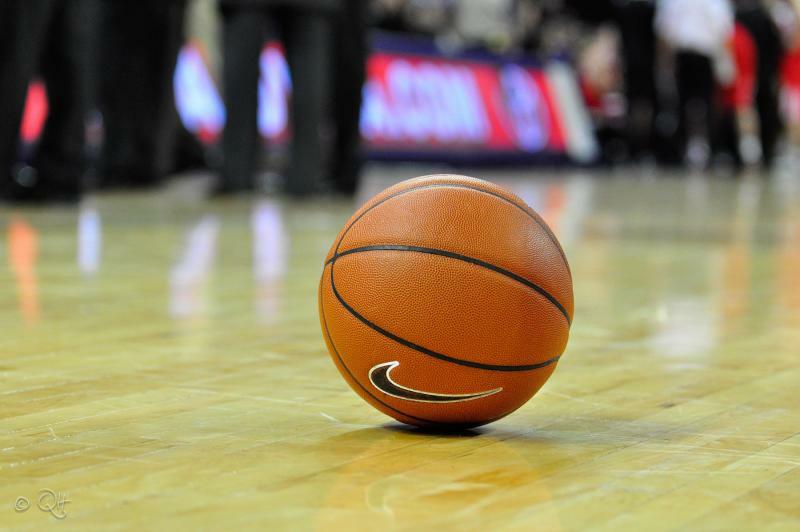 The Big Ten basketball experts knew exactly what was going to happen this season before it even started. Michigan State would battle for another title, while Michigan would be stuck in the middle, fighting for a tournament bid. And that’s exactly how it started. The Spartans jumped out to first place, and had it all to themselves with just two games left. The Wolverines spent most of the season in the middle. The experts looked pretty smart – until Michigan started mastering head coach John Beilein’s unconventional system. 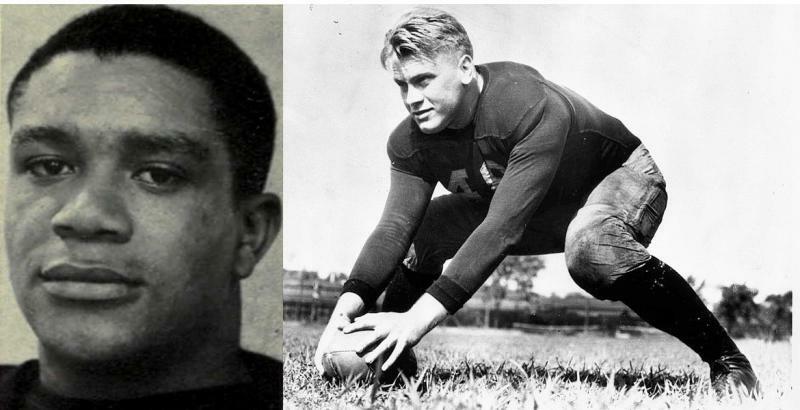 When Ann Arbor's own George Jewett, an African-American, made Michigan’s football team in 1890, he would not have predicted it would take more than four decades for another black player to follow him. The biggest reason was Michigan’s head coach from 1901 to 1926, Fielding H. Yost, who had unequaled ambition and ego, and six national titles to back it all up. But he also had a blind spot: he was a racist. Perhaps we shouldn’t be surprised. His dad fought for the Confederates, after all. But Yost was surprised decades later when his discriminatory decisions created a national controversy. It started when he named Harry Kipke Michigan’s next head coach. I’ve coached high school boy’s hockey teams for almost a decade. But a few years ago, I spent two years helping out the Michigan women’s hockey team – and I learned a lot more than they did. It’s worth noting that I’m comparing only high school boys and college women, based solely on my observations of two hockey teams. Your mileage may vary. My education started on day one.